When considering a uniform program and creating a professional image for your employees, it’s important to choose the right fabrics, colors and the right mix of branding. A company’s image in uniforms is one of the steps to building a solid brand. Company uniforms create an attractive image that represents style, quality, and service. Uniforms unite employees and complete the overall image in a company’s brand. As you enter a jet plane, a hotel lobby or a fine dining restaurant, your eyes immediately pick up who is there to assist you by the identity of their clothing. It’s a professional look that instills confidence for your customers. Uniforms are the perfect opportunity to add your logo or company colors to a necktie, polo shirt or t-shirt depending on your business type. This completes a company’s identity and branding. Company uniforms create a unifying camaraderie with employees. It builds loyalty and eliminates competition. Uniforms give customers the impression that your company means business and the professional look displayed in your employees sets the quality to a high standard. Employees in various uniform types set the atmosphere whether it may be a formal dining experience with bowties or bright colored Hawaiian shirts. Uniforms set the emotion for your guests that carries through to their experience at your business. Uniforms distinctly mark your employees on a property and create security when visible to your guests. Company uniforms in the hospitality industry are very important in setting the mood for the overall atmosphere. Italian restaurants may choose a fun bright tomato covered necktie, hotels may like a small repeated logo pattern and airlines may go for a whimsical look matching their corporate colors. A formal uniform look includes suits, dress shirts, neckties, scarves or bow ties in premium fabrics. A more defining look to a uniform include accessories imprinted with a company brand of either a logo or company colors. 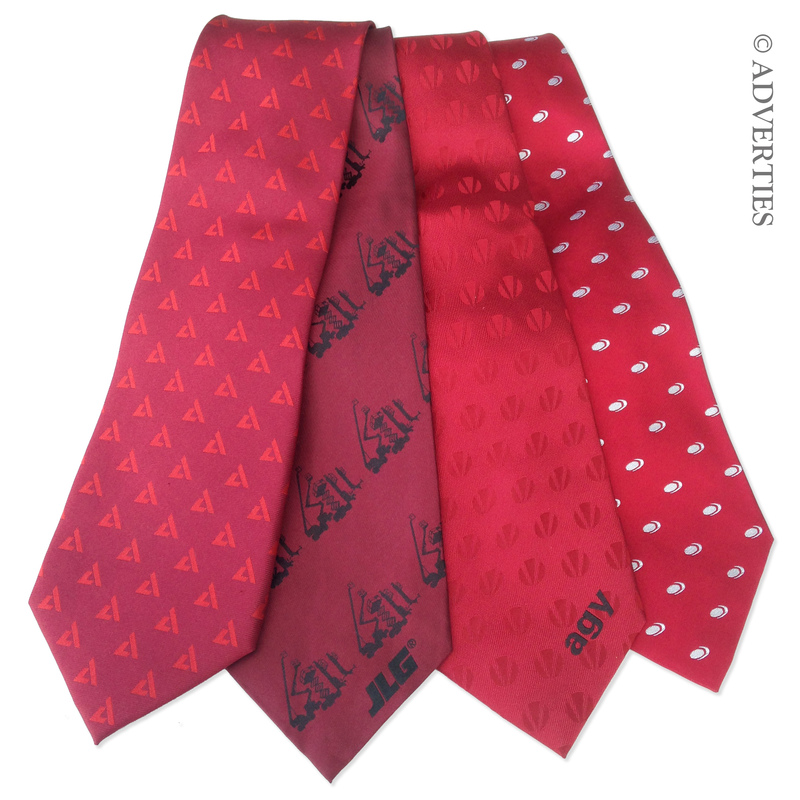 With over 2o years experience in creating custom neckties and scarves for uniform programs, Adverties Neckwear works to perfect the finishing touches to your look. 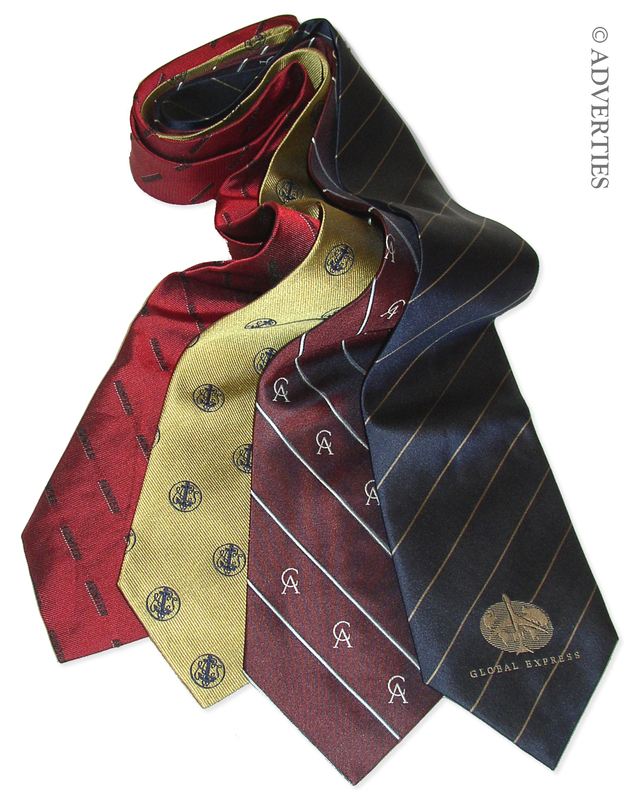 Each custom necktie and custom scarf design give your uniform that pop of color that makes your employees truly distinctive.